Teams are organized by pool (by age division) in the menu at the top of each section. Simply scroll down for an alphabetical listing of teams (by age division). 5/23/14 – Fastball topped 92, sat 87-89 with slight cut action. Loose delivery, quick arm action. Worked outer third of plate to LHH and RHH with mostly FB, mixed in a handful of sliders in low 70s as needed. 5/23/14 – Instinctual player with great energy and aggressive, competitive approach to the game. Ran the bases well, heads up and aggressive to take an extra base. Made solid contact for a pair of hits, used the whole field. Moved well defensively and showed solid actions. 5/23/14 – Fastball at 87-88 and touched 91. Slow tempo delivery made fastball appear to jump from his hand. Breaking ball had great depth into low 70s with 11-5 shape. Went right after hitters with quality two pitch mix, aggressive with fastball and mixed in only the handful of breaking balls necessary. 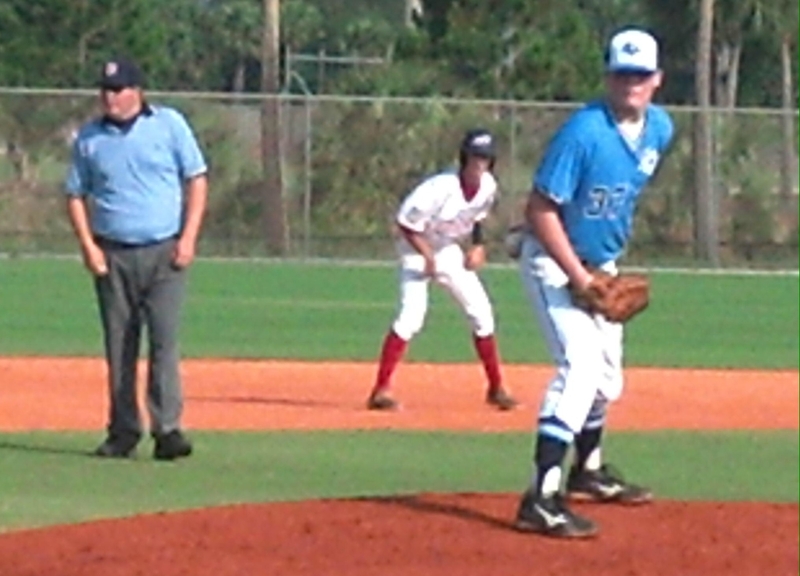 5/24/14 – Fastball 78-84, sat 81-82 with arm side tail. Curveball 65-69 with some depth. Worked both sides of plate with FB and secondary. Good mound presence with advanced feel for pitching. Balanced delivery, got great extension out front with his pitches. 5/25/14 – High energy player with quick twitch actions and good field presence. Throws had carry across the infield. Line drive type hitter. 5/23/14 – Hit the ball hard three times, made several good passes against mid to upper 80s velocity. 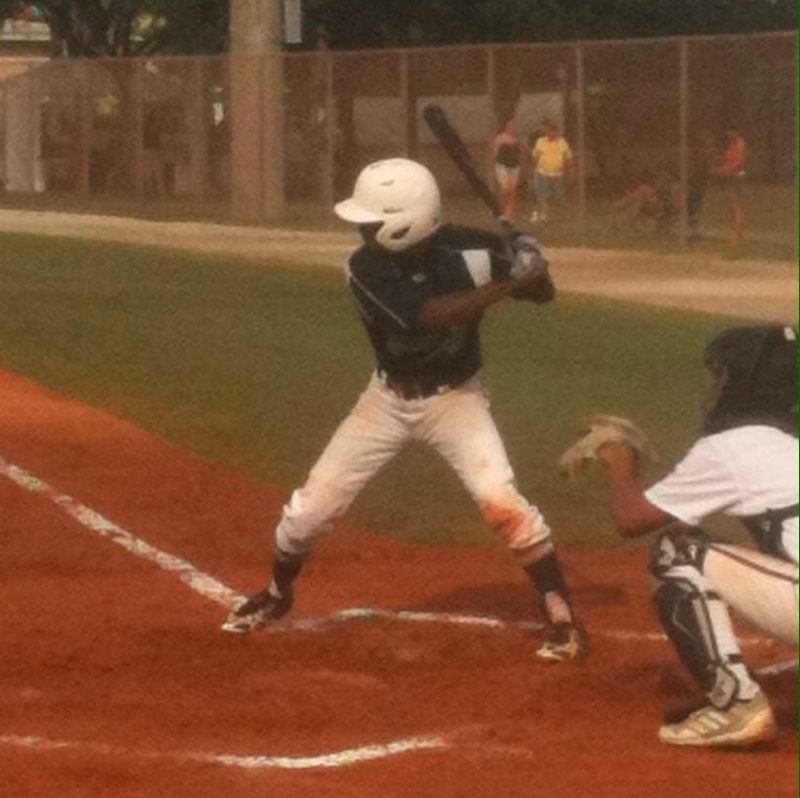 Has a short stroke with hand-eye coordination and bat speed, along with good path thru the zone. Solid actions and 3B, hands were soft and arm worked well. Has good overall presence about him. 5/24/14 – Big, athletic body with solid build. Good approach to hit, smooth swing, keeps weight back. Drove RBI double to RF. Aggressive hitter, ready to attack pitches in zone. Accurate throwing arm from RF, threw out a runner at 2B. Got good jumps on balls in the OF. Got down the line in 4.3 to 4.4 range from the left side of the plate. Played hard, high energy guy. 5/24/14 – Small frame, athletic build. Opposite field approach with good plate discipline,. Showed willingness to bunt for a hit. Quick on the bases, got good jumps allowing him to translate his speed well. Got down the line in 4.2 from the left side. 5/24/14 – Touched 88, commanded 84-85 with arm side run. Curve was 63-68 with 10-4 shape. Possible two way guy, swung the bat well also. 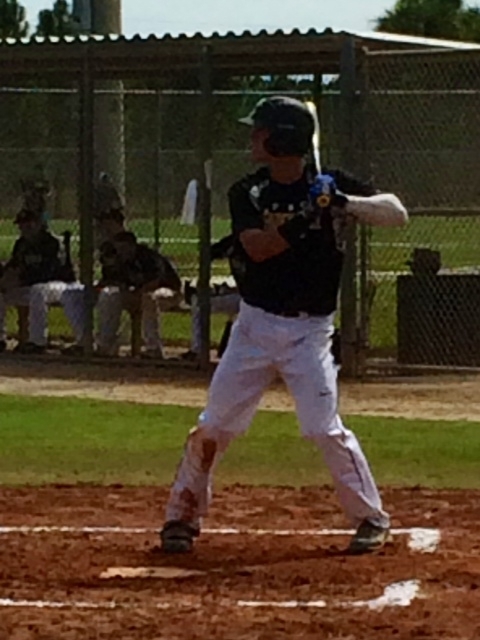 5/24/14 – Solid build at 6-foot-2 and 210 pounds. 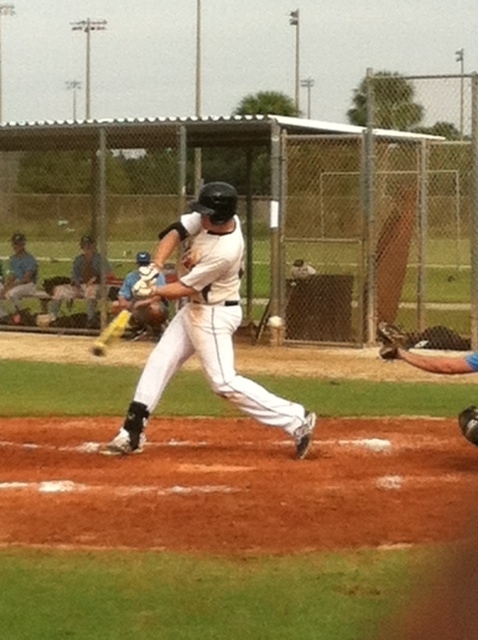 Barreled up two balls, hard contact to pull and oppo side. Reached good hitting position, has hand-eye coordination for barrel accuracy. Gap to gap type hitter. Raw arm strength is ahead of catch and throw skills, 2.3 pop times now with potential to improve. 5/24/14 – Fastball sat 86-87, touched 91. Spun a mid 70s breaking ball. Medium frame, athletic build. Featured arm strength and quality stuff above feel for pitching. 5/24/14 – Long and wiry frame at 6-foot-5 and 165 pounds. Arm worked with standout arm speed out front, ball got out of hand with life and easy velocity. Topped 92, pitched right around 90. Commanded FB to both sides of the plate. Mid 70s breaking ball had tight spin and some depth down and across the zone. Appeared to stick with two pitches, little evidence of a third pitch. 5/24/14 – Large frame with room to fill out at 6-foot-4 and 200 pounds. Fastball sat in upper 80s and topped at 91. Arm worked free and easy, generated velocity with low effort. 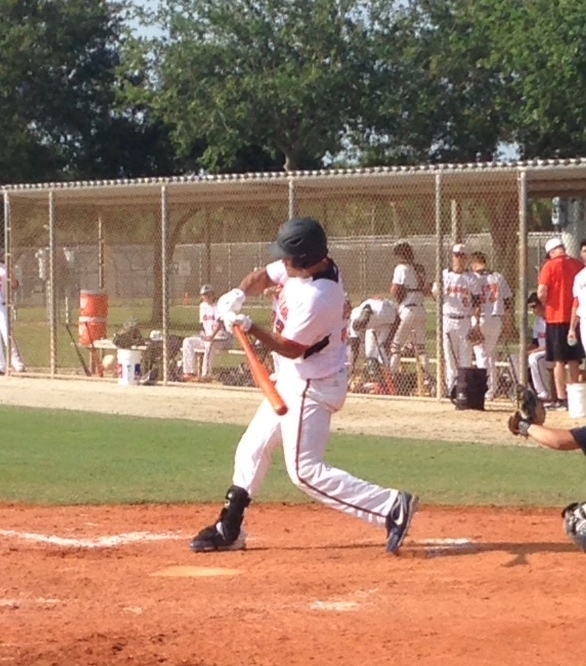 Spun a tight breaking ball with depth in mid to upper 70s. Fastball cut more than it moved to his arm side. Committed to Florida Atlantic University. 5/24/14 – Stocky, solid build. FB 85-87 with arm side tail and down angle. Commanded FB in and out. 73 CB with tight spin and depth, used more for out pitch than to land it. 5/24/14 – Athletic body, appeared to have good speed on the bases. Good hitting approach, showed plate discipline and strike zone knowledge with 3 BB. Generates bat speed with coordinated stroke. Doubled to LCF gap. Soft hands defensively, moved feet well and took good angles to ground balls, had body control to react to bad hop. 5/24/14 – Showed a great feel for the game in the way he ran the bases, moved with awareness defensively and handled the bat. Nice balanced offensive approach, consistently hit line drives to CF and LCF. Battled with two strikes. Ran the bases well. Showed excellent defensive range, soft hands and a quick release. 5/24/14 – Long lanky body, has room to fill out. Explosive fastball, reached 87-88 with late sink. Sharp curveball with 11-5 shape in the low 70s. Worked fast and threw two pitches consistently around the plate. Long, whippy arm action. Ball jumped from his hand. 5/25/14 – Fastball 83-85 with downward angle and some occasional cut action. Curve had mid depth in upper 60s with 11-5 shape. Physical young pitcher with a large frame. 5/24/14 – Good strong build with athletic look. Balanced to hit, simple approach. Stays back well on breaking balls, kept hands back singled back up the middle of the field. Defensively, feet worked well and he showed good hands. 5/25/14 – Fastball 83-86 with excellent run and sink action. Featured an excellent change with sink at 73-75. Breaking ball 64-66 with late depth to 1-7 action. Commanded all three pitches, worked both sides of the plate and changed speeds – has an advanced feel for pitching. Threw a complete game, lost 1-0 in a hard fought game. 5/24/14 – Good body and good body language. Showed feel for the game in the way he ran the bases and handled the bat. Drove in runs via sac fly, triple and a good situational two strike at bat. Showed good actions in the field, along with soft hands and arm strength. 5/24/14 – Fastball 84-89, sat 86-87. Curve was 73-79, with highest velocity instances showing the most promise. Change was throw around 74. Featured a quick arm and loose delivery, was able to spin the ball well at times. Showed some feel for pitching, threw enough strikes to be effective. 5/24/14 – Solid athletic build. Short, compact stroke. Keeps weight back and works barrel thru the zone well. Very good defensive 1B with good footwork and soft hands. 1.9 to 2.0 pop times behind the plate, quick feet and strong arm to catch and throw. Good base and receiving skills. 5/24/14 – Committed to the University of Florida. Athletic with big body and strong build. Showed ability to barrel the ball up, doubled once to each gap. Hit ball where it was pitched, and with authority – especially to the pull side. Instinctual base runner, made good reads on dirt balls. 5/24/14 – Good receiver with soft hands, stayed low and presented a good target. Aggressive to throw, looking to throw behind guys and made throws both from his feet and his knees. As good as 2.05 release times standing up, closer to 2.2 from his knees. Made hard contact on multiple occasions, both to the opposite field. 5/25/14 – Fastball 83-87. Effectively wild within the zone. Curveball 76-78 with tight, late 10-4 action. Showed change in low 70s with slight fade action. Live arm. Loose, lanky frame. Repeats delivery. 5/24/14 – Good range and lateral movement defensively, made nice play in 5 hole to catch and throw on a backhand, also ranged up the middle. Showed a strong arm across the infield, along with the ability to make a variety of throws. Balanced offensive approach. Short compact stroke with potential for gap to gap power. Committed to Florida State College of Jacksonville. 5/23/14 – Big body at 6-foot-5, projectable physically with room to fill out. Arm worked well, topped at 86 and sat a couple mph below that. Spun low 70s breaking ball with promise. 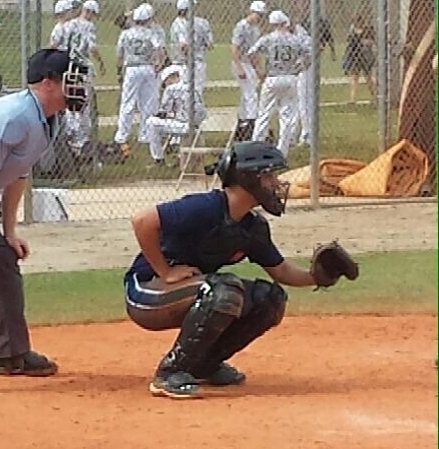 5/23/14 – Talented defensive catcher with good presence and an apparent feel for the game. Showed off his catch and throw skills to cut down several runners. Pop times around 2.05, arm strong and accurate. Walked twice and singled, athletic build at 6-foot-2 and 180 pounds. 5/23/14 – Topped at 86, sat 83 with arm side run and slight sink. Funky delivery, closed off front side to hide the ball and offer deception to hitter. Curve in low 70s with good depth. Around the plate with FB and CB, with combo of deception and FB life enough to generate mostly weak contact. 5/24/14 – Fastball 84-89, sat 86 with arm side tail. Curveball was thrown in the low 70s with 1-7 shape. Projectable body, large frame at 6-foot-5 and 200 pounds. Has arm strength and generated down angle on FB. 5/24/14 – Fastball 83-87, sat 84 with arm side run. Deceptive delivery with slight pause at balance point. Ball got out of hand free and easy. Curve was 67-73 with 2-8 shape, snapped it off with tight spin and depth. Change was 75-78 with slight tumble, used as his third pitch. Stuff is dynamic with life after leaving his hand well. Good athlete with two-way potential. 5/25/14 – Repeatedly showed a knack for finding the barrel over the course of a couple of games. Hit the ball very hard to the opposite field, stayed back and tracked pitches well. Got down the line as well as 4.2 from the left side. Heads up base runner. 5/25/14 – Well rounded player with usable hit and field tools. Has athleticism and feel for the game. Got down the line as well as 4.27 from the right side of the plate. 5/23/14 – Showed some command of 84-86 FB with arm side run, kept it down in the zone well. CB was 69-71 with good bite to 11-5 action. Worked quick, settled down after first inning and improved velocity along with command and feel for his stuff. Large frame at 6-foot-4 and 200 pounds, showed glimpses of excellent two pitch mix – breaking ball has potential to develop into swing and miss offering. 5/25/14 – Hits from open stance, well balanced offensive approach. 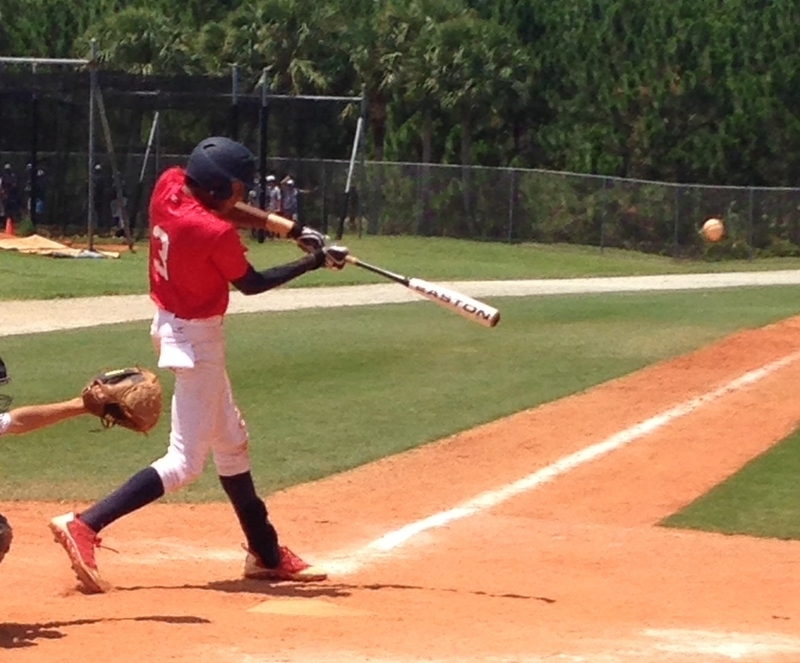 Handled breaking ball well – doubled down the left field line and lined out on off speed pitches. Ran bases well, showed some speed and played with high energy. Sure hands defensively. 5/24/14 – Line drive hitter with hand-eye coordination. Kept hands back on off speed pitches well, and worked barrel thru the zone on a good path. Collected solid hits to LF and CF. 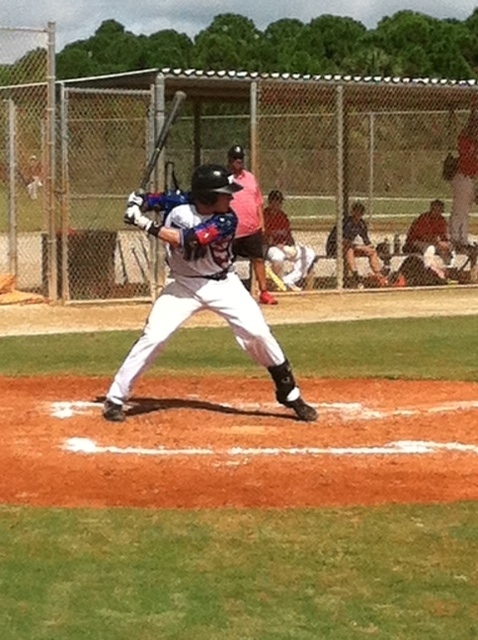 5/24/14 – Switch hitter on the roster, took his at bats from the left side today. Spray hitter, used the whole field. 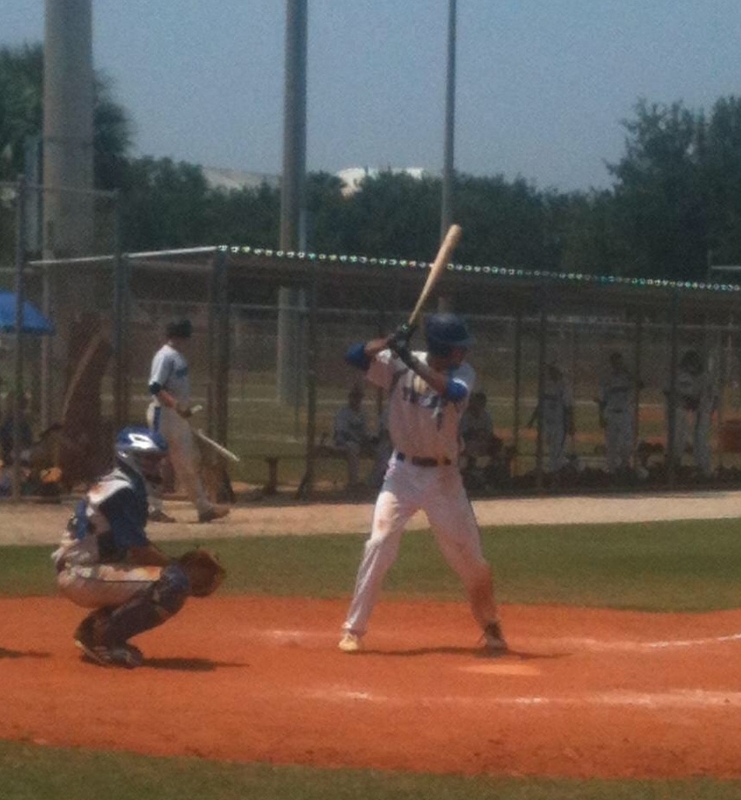 Got a solid single up the middle, and bounced a single thru the infield the other way. Showed good footwork and range up the middle, along with soft hands and a strong arm. 5/25/15 – Aggressive to throw from behind the plate. Threw behind runner at 1B and threw out base stealer at 2B, pop times in 2.1 range. Received well, solid all around behind the plate. Short, quick right handed stroke. Balanced approach, simple stroke. 5/24/14 – Pitched 84-86, topped 88. Commanded FB in and out, had some heavy arm side life. Showed feel for change in mid to upper 70s. Used breaking balls when ahead in count. Featured a 78-80 slider / cutter type pitch and a sweeping curve in the upper 60s. Aggressive to zone with best stuff. 5/23/14 – FB touched 87, consistently 84-86 with heavy arm side life. CB 71-73 with 10-4 angle across the plate and down thru the zone. Threw CH with good arm action in mid 70s. Effectively mixed pitches. Balanced, simple delivery allowed him to work around the plate with FB and secondary stuff. Arm worked fine from the glove and with quickness out front. 5/24/14 – Projectable body with long limbs and good proportions. Left handed gap power, drove it there twice. Aggressive on the bases, stretched a single into a double and scored on a single to RF – has some speed, and it’s usable on the bases. Short to ball, stayed thru it and got great extension. Have not seen any right handed at bats yet. 5/24/14 – Fastball 83-86 from over top angle. Gather and go type delivery, with short knee lift. Didn’t lose any velocity from the stretch, in fact his best fastballs came with runners on. Breaking ball had some late bend in the mid to upper 70s. Aggressive with arm strength and a lot of room to develop further, has potential for big fastball. 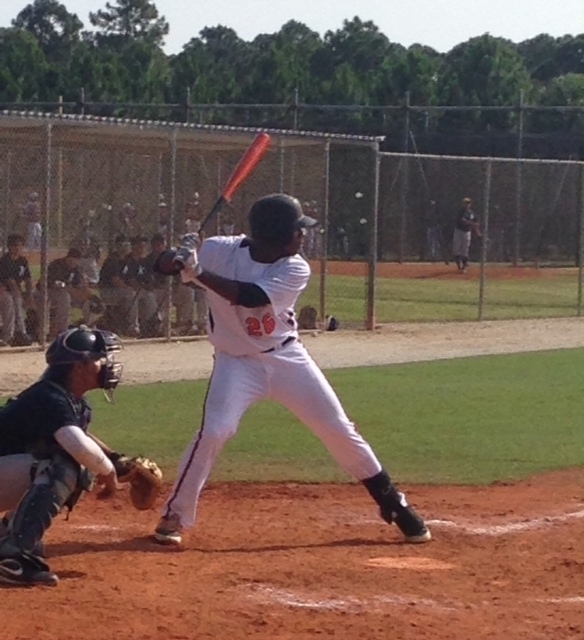 5/25/14 – Has good hands to hit, worked barrel thru the zone well and showed extra base power. Tripled twice down the right field line from the left side of the plate, turned in 4.4 range. Made several nice plays at SS, showed range to glove side along with quick reactions and arm strength across the diamond. High energy player. 5/25/14 – Tall, athletic build. Got barrel to zone quickly and showed strength thru contact to generate gap to gap power and for hard contact to the opposite field. Kept hands back on off speed pitches, and showed good plate discipline. 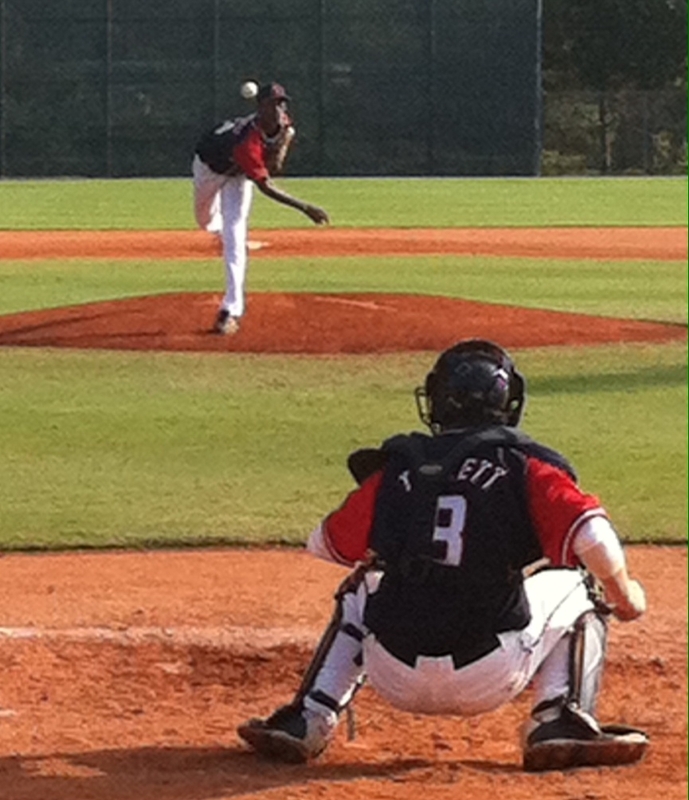 5/24/14 – Threw a complete game shutout. Strike thrower with low to mid 70s fastball, mixed in low to mid 60s breaking ball. 5/24/14 – An instinctual player with a good presence on the field. Appeared to get around the bases with some speed. Positioned himself well defensively and adjusted with counts and situations. Took great angles to the ball and showed an accurate arm. Hit from a good base, threw the bat head and stayed level through the zone. 5/24/14 – Baseball player type with a good feel for the game. Made hard contact in several at bats, and handled the bat well in general. Showed solid actions along with some range at 2B, made a nice play moving to his glove side. 5/24/14 – Allowed just one unearned run in a good outing. Upper 70s fastball had slight arm side run. Spun upper 60s breaking ball with some depth to 11-5 shape. 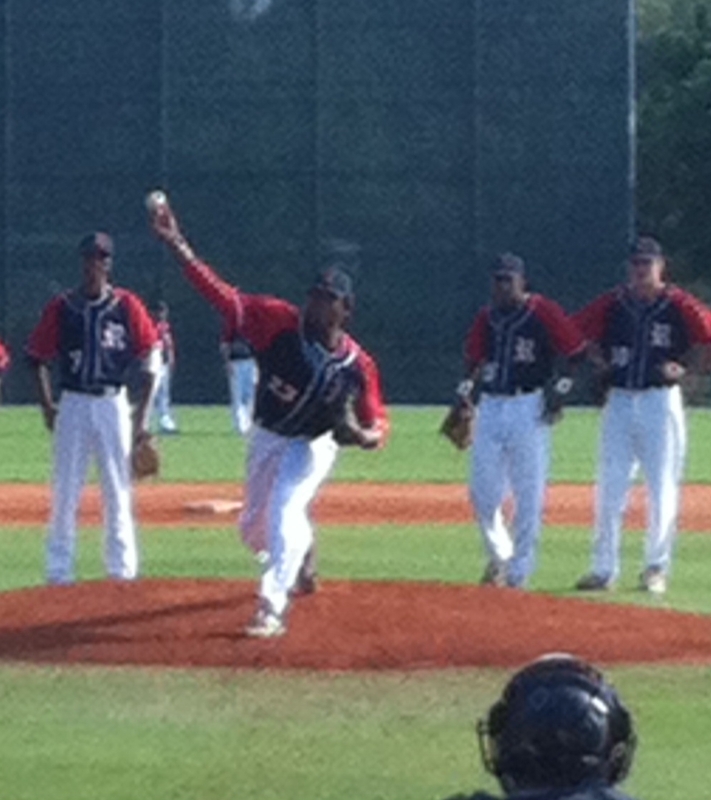 5/24/14 – Bulldog on the mound with excellent mound presence. Mixed pitches well. FB sat 79-81 with good arm side run. CB 62-64 with tight 2-8 rotation. Pitched 5 solid innings. 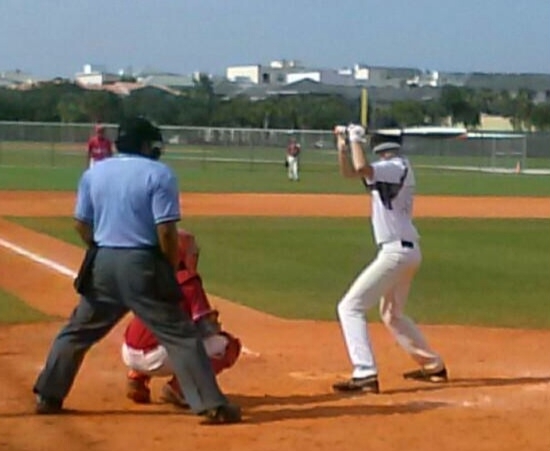 5/25/14 – Went 2 for 3 with a two strike single and SB. Also tripled and drove in game winning run. 4.44 on turn on 3B over RF head, drove it a long way. Athletic frame. Hits to all fields, line drive approach. Level thru zone. Good bat speed and strength for size. Made nice diving play in CF to save a run, got good reads off the bat. 5/25/14 – In the infield, athletic setup with sure hands. Made nice plays to glove side. Showed good lateral movement and range. Exchange is clean and quick. Has the arm to play at the next level. At the plate, shows good approach with knowledge of the strike zone. Swing path is level, made consistent contact. Line drive type hitter. 5/25/14 – Fluid actions. 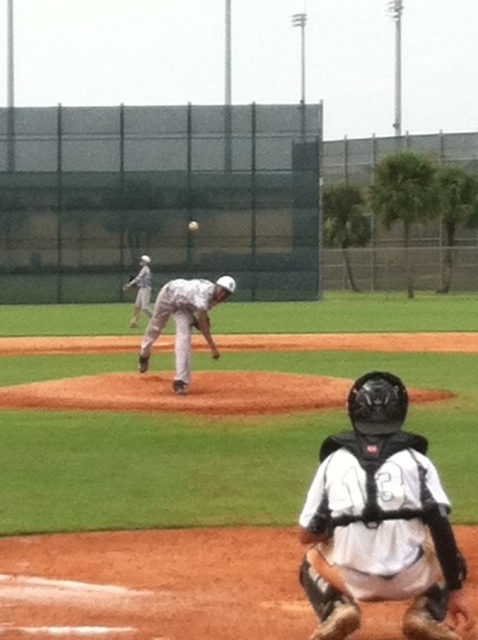 FB had good arm side run, sat 80-84 with fastball. Has body and size to get FB into upper 80s as he matures physically. Works quick, attacked zone. Commanded FB to both sides of the plate. Curve had 1-7 shape in low 70s. 5/24/14 – Tall, lanky body. Deceptive motion, hides the ball well. Fastball 79-81 with arm side run. Effective curveball with 10-4 action, can throw it for strikes. Consistently around the zone with fastball and breaking ball. 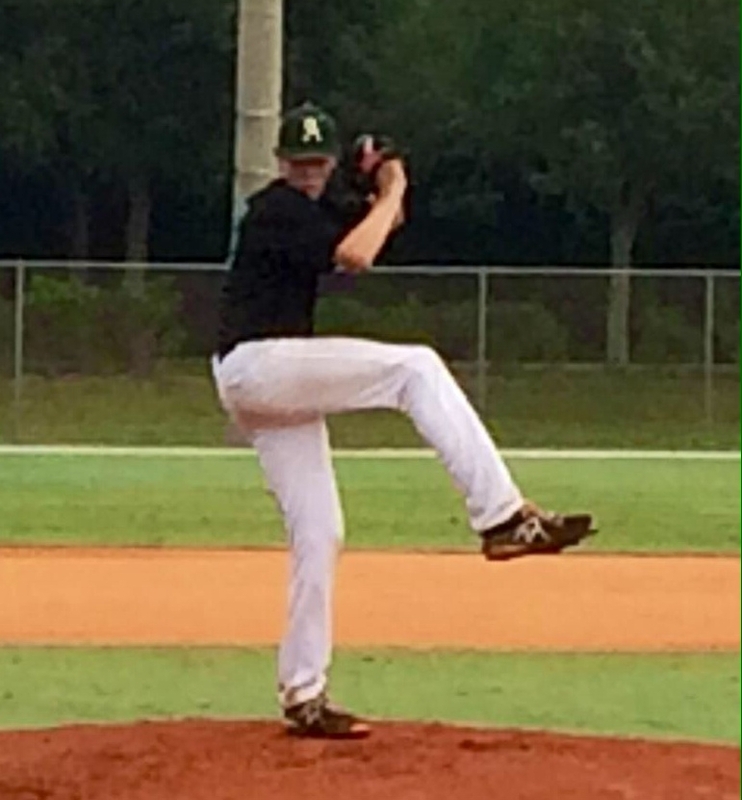 5/24/14 – Pitched at 84, hit 86 numerous times. FB had arm side run and in good life in general. Curveball was 65-66 with 11-5 action. Also showed a cutter in the mid to upper 70s. Showed good feel for pitching, changed speeds and showed signs of command. 5/25/14 – Big, durable body. Consistently in the strke zone with FB 83-86. Sharp 66-69 curveball with 11-5 shape. Spotted an effective change as well. Quick feet on picks to 1B. 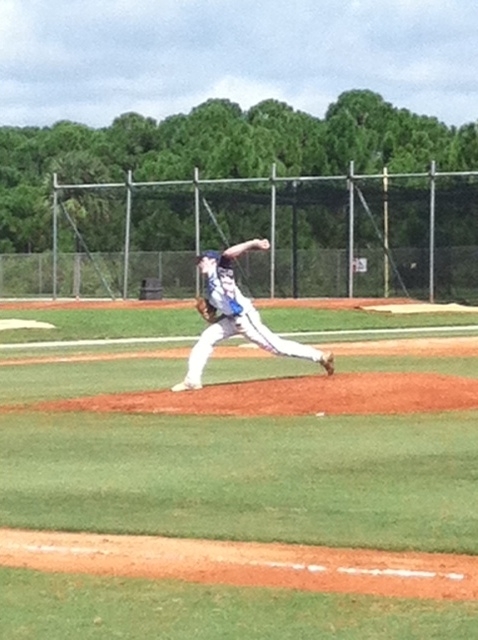 Threw four shutout innings. 5/25/14 – Soft hands and good glove work defensively. 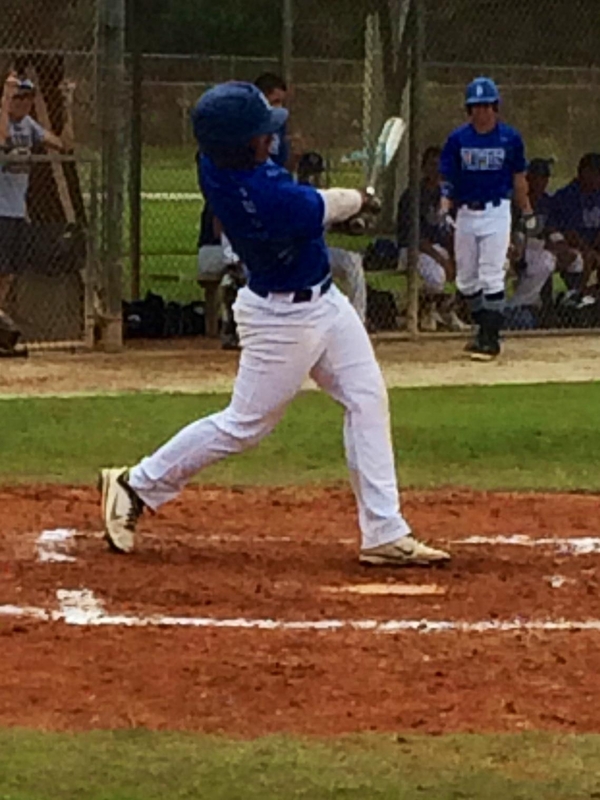 At the plate, featured a good left handed swing with power and barrel accuracy. Made hard contact to pull side, including a ball to RCF gap. 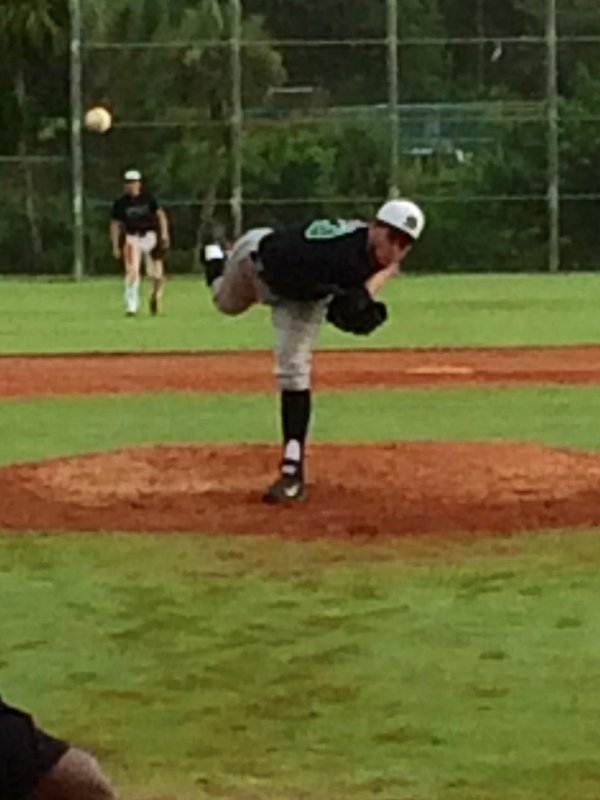 5/25/14 – Pitched 79-81, touched 82. Clean arm stroke. Curve was an effective pitch with 10-4 shape in the mid 60s. Around the zone, changed speeds, challenged hitters. 5/25/14 – Release times around 2.05-2.1 with accuracy. Low target behind the plate. Blocked well and showed quick feet. Nice swing from both sides of the plate. Doubled from the left side and singled from the right side. 5/25/14 – Fastball 84-86 with arm side tail and sink. Curveball 74 with tight spin and sharp action. In the zone, commanded both FB and breaking ball. Bulldog mentality, combined aggressive approach with command to make it quite difficult on opposing hitters. 5/26/14 – Loose left handed stroke. Quick hands to zone. Good runner down the line, easily into 4.3 range from the left side of the plate. Ran down several balls in CF with combo of speed and route, easy run stride. 5/25/14 – Slender, athletic body. Clean delivery, arm worked well. FB 84-86 with arm side tail and sink. CB in low 70s with two plane break. Got through one inning of work with minimal number of pitches. 5/25/14 – Big athletic body. 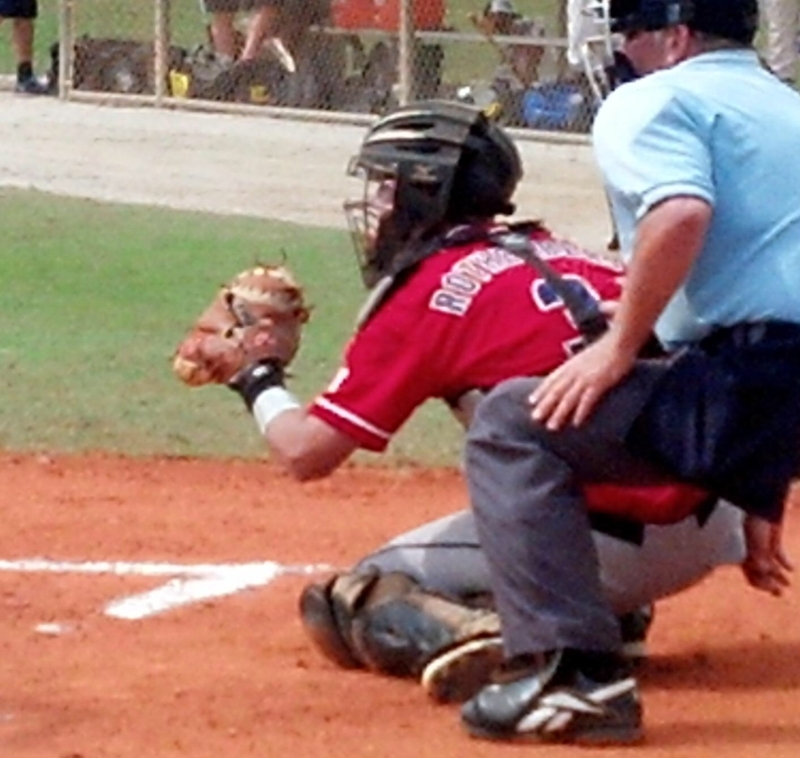 Moves well laterally behind the plate to block everthing. Received well also. Pop time of 2.06. Showed pull power at the plate, generated bat speed from hip rotation. Collected two hits including a line drive double down the line, makes an aggressive move thru the zone. 5/24/14 – Shows good range and quick feet. Soft hands with clean exchange and fluid actions. Made two backhand plays along with an unassisted double play. Body has size and stregnth, should continue to get bigger and stronger as he gets older. Arm is already a plus. Balanced approach at the plate with a good idea of the strike zone. Level path, made consistent hard contact. 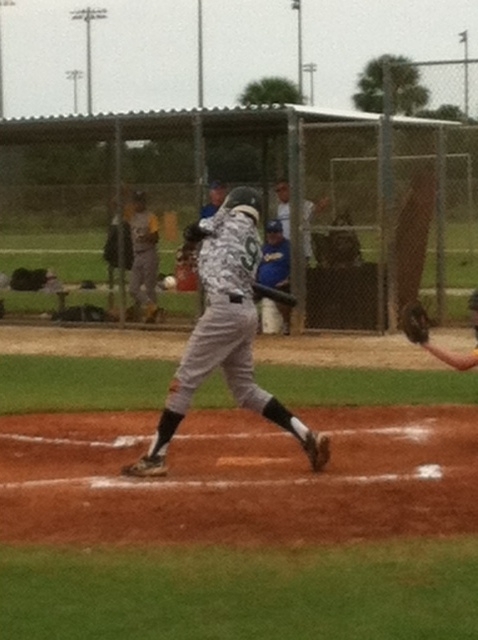 Showed warning track power, hit two doubles and a deep sac fly. 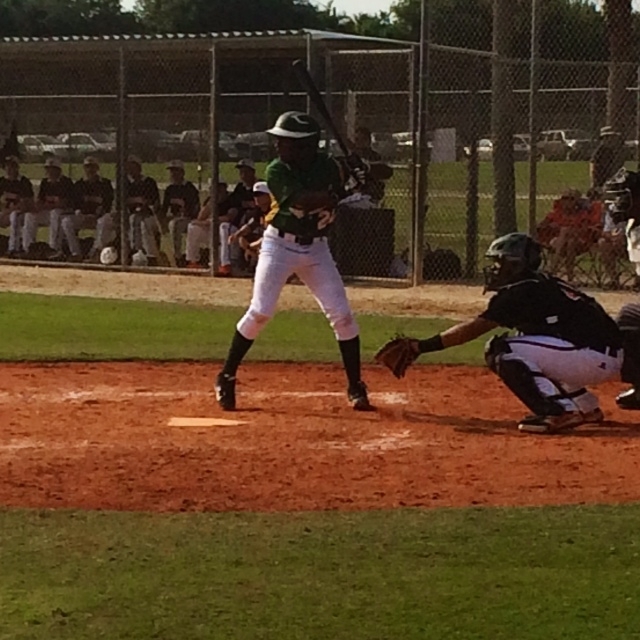 5/24/14 – Sets up well behind the plate, solid receiver. Got around balls in the dirt to block, showed quick feet. Pop time around 2.15 with clean, quick exchange. Throws had life from hand and carry into target. 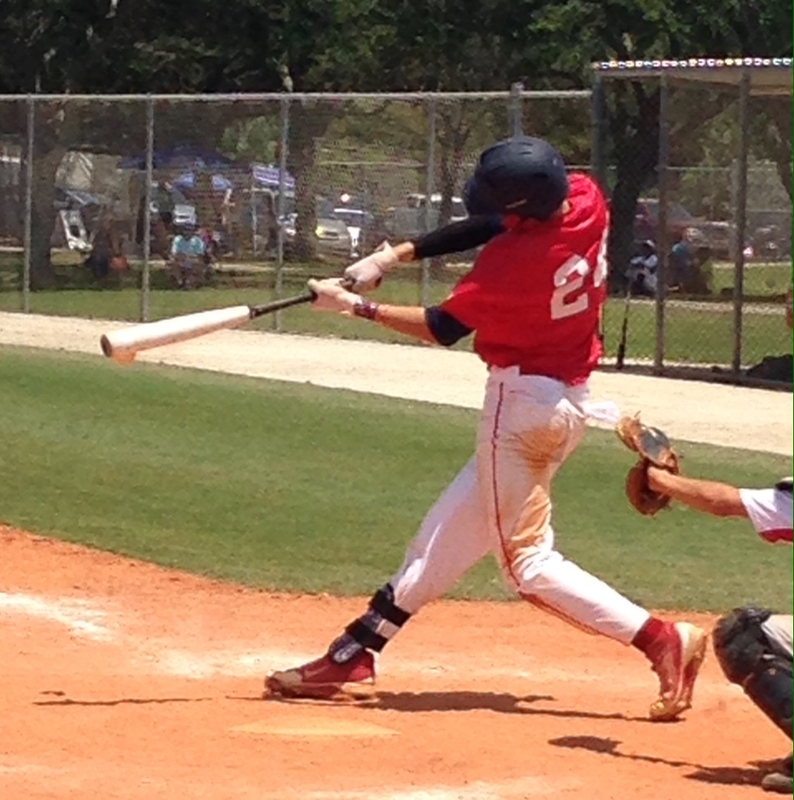 At the plate, hit from an open setup with toe tap stride to get back to square. Barrel explodes thru the zone, allowing him to consistently deliver line drives into the gap – he collected three doubles along with a single on the day. 5/24/14 – Fastball 78-83 with good downward plane from a high three quarters slot. Curve had tight spin and late break. Change was 73 with slight sink. Worked with good tempo and balance. Threw enough strikes to be effective, has room to improve mechanically to improve command and velocity. 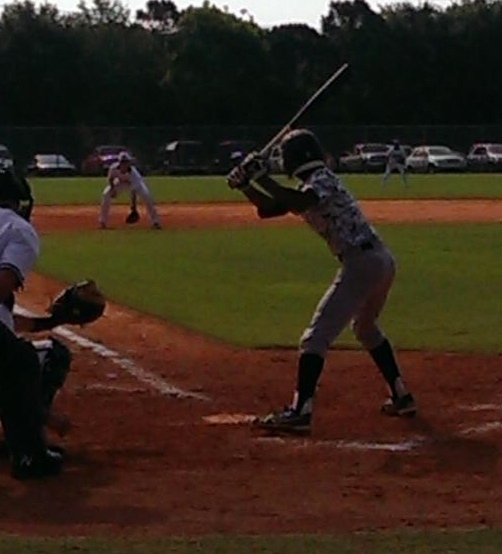 5/24/14 – Good approach at the plate. Went two for two with a walk, quick hands to the zone. Singled and doubled to the pull side. 5/25/14 – Short, compact swing. Hits ball to all fields, makes consistent hard contact. Doubled to the opposite field over the LF head, and lined a sharp single to the RCF gap. Aggressive on the bases, got good reads and jumps, and has base stealing ability. In the infield, has quick feet with good range. Makes the backhand play look routine. Shows a strong arm after a clean exchange and turns the double play well. Is the type player that makes things happen. 5/26/14 – Well proportioned frame at 6-foot and 190 pounds. Two-way player. Fastball 79-81 from over top slot. Breaking ball in low 70s. Worked quickly and challenged hitters in the zone. Showed left handed extra base power, worked barrel thru the hitting zone well. Made frequent hard contact to pull side and back up the middle of the field. Corner OF type with arm strength to play RF. 5/25/14 – Slender frame. Sneaky fastball at 82-84 with good arm side run. Strike thrower with FB. Quality 10-4 shape breaking ball in the low 70s. Good mound presence, worked quickly. Showed ability to pitch to both sides of the plate with FB and CB, changed arm angles some as well to offer different look to hitters. 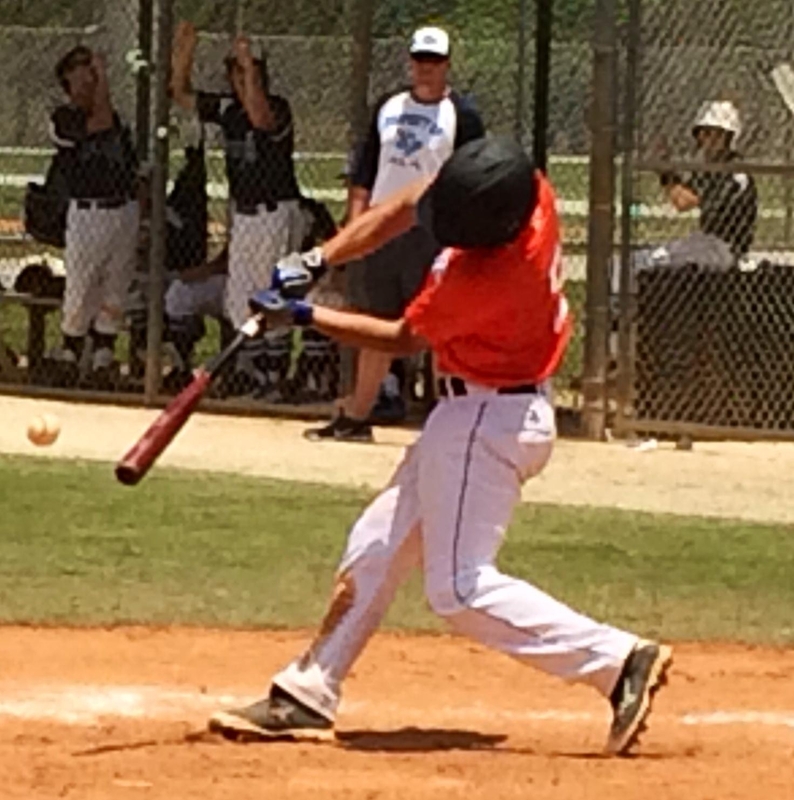 5/23/14 – Shows good approach at plate, level and consistent swing path. Above average power, tripled over the CF head and flew out twice to deep RF. Consistently barreled the ball, showed exceptional bat speed. Takes good routes to balls in the OF, showed good range and evidence of arm strength. 5/23/14 – Balanced delivery, arm works free and clean. Threw FB and secondary pitches for strikes, works ahead in the count and has mound presence well beyond his years. Featured an upper 70s cutter with late action, this served as his out pitch. Fastball was 81-83, pitched inside well to both LHH and RHH. Spins breaking ball as get-me-over type offering, with potential to develop further. 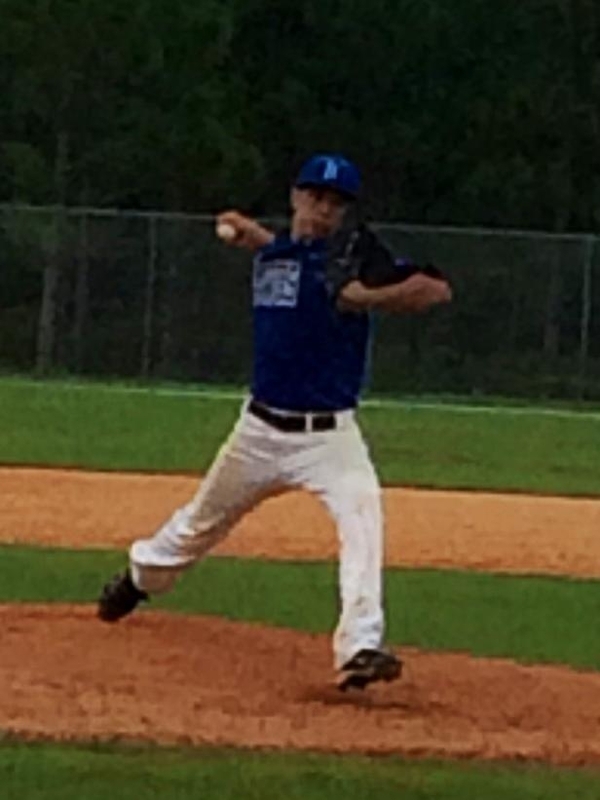 Has size and physical ability to develop into a big time college pitcher. 5/23/14 – Fastball sat 79-81. Smooth, efficient delivery with clean and easy actions. Showed two seamer with good down tilt and arm side run. Young and clearly working to find the feel for his breaking ball, which was thrown in the mid 70s with action not consistent with release angle. 5/24/14 – Strong, athletic frame. Balanced, efficient delivery – drop and drive type, but it worked for him. Fastball sat 85-87, got on top and worked downhill. Ball exploded in zone. Pounds fastballs, went right after hitters. Used cutter for out pitch, it sat 84 with late action. Flashes curve at 74 with 11-5 break, throws early in count to keep hitters off balance. Only runner to reach base was picked off, controlled running game well – quick feet with a quick move to 1B. 5/25/14 – Topped at 89, sat around 86. 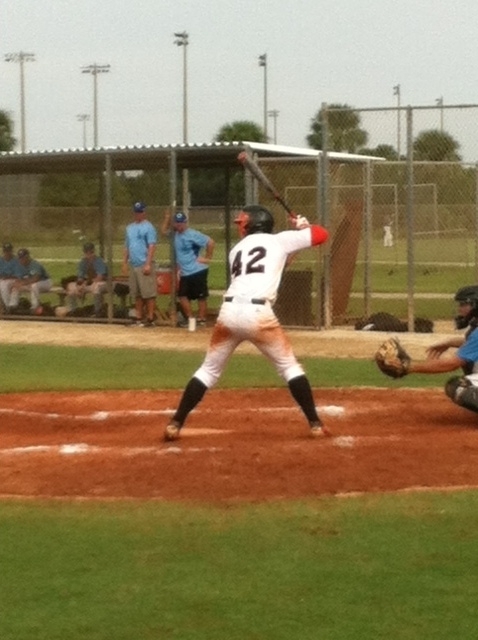 5/23/14 – Good athlete with speed, turned in 4.47 from the right side of the plate on a base hit. Stole 2B twice, and 3B twice – got great jumps each time. Took good routes to balls to his left and right, and came in well on slow roller. Played thru the ball well with smooth actions, quick exchange on double play ball. Appears to swing the bat a little better from the left side of the plate, has hand-eye coordination from both sides of the plate with better body control and overall stroke left handed. Used the whole field in three at bats, collected an opposite field hit left handed and went back up the middle and to pull side right handed. Contact spray type hitter with usable speed. 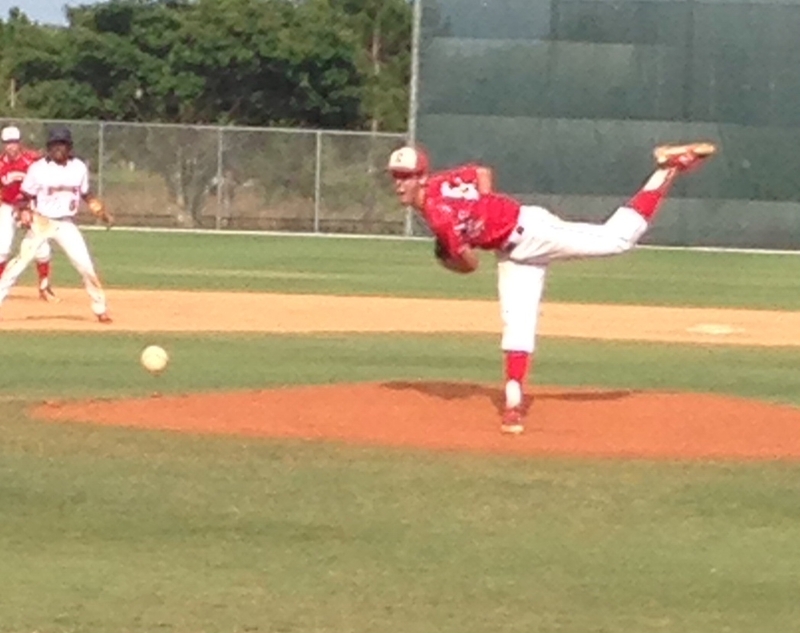 5/23/14 – Showed confidence and good mound presence. FB 77-80 with some down angle from over top slot. Curveball 63-64 with tight spin and the makings of near 12-6 action. Strike thrower with FB and CB, saw CH between innings but used little if at all during game. Balanced delivery, arm worked well from the glove, and he got some extension out front. 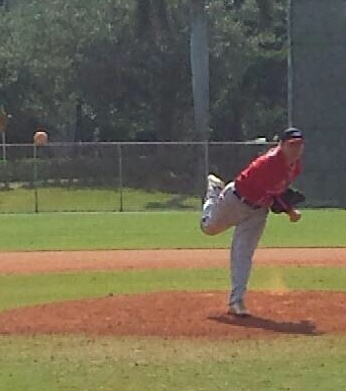 5/25/14 – Projectable young right hander with good mound presence. FB 80-83 with good down angle, located it well to both sides of the plate. Good use of lower half, stayed closed and maintained good direction. CB 70-72 with 11-5 shape and good depth, was thrown with FB arm speed. Located breaking ball as well, and mixed in a handful of CH in low 70s. Potential two-way guy, can handle the bat. Balanced approach, showed ability to keep hands back on off speed stuff, and got the bat thru the zone with life. 5/24/14 – Athletic body. Good actions, moved feet well and showed good hands. Fielded out front, got momentum thru the play towards the target. Was able to make throws on target from multiple angles. Balanced offensive approach. Made hard contact up the middle a couple of times and doubled down the left field line, kept hands inside the ball. Contact, line drive type stroke. 5/25/14 – Good size, athletic frame at 6-foot-3. Good overall actions. Square stance, hands stayed back, got good separation. Flat thru the zone with some bat speed. Showed barrel accuracy in three quality at bats. 5/25/14 – Balanced approach, showed some rhythm to hit. Level path, made contact and has gap suitable for a corner spot. Soft hands, clean exchange. Throws had carry. 5/25/14 – Quick hands to hit, got barrel to zone and worked it thru with speed and life. Raw arm strength ahead of catch and throw skills behind the plate. 5/24/14 – Balanced delivery, pauses at the top before moving to the plate. Clean arm path, works free and easy. Fastball jumps out of his hand, sits around 81 and flashes 84. Curveball is his out pitch, has 11-5 shape with tight spin and hard downward action in the mid 60s. 5/24/14 – Hits from an open stance, gets back to square with prep action – good rhythm and timing, gets front foot down in time. Stays thru the ball well, hit two hard line drives and drove in a run. In the infield, made some nice plays to his glove side. Featured a quick exchange and the ability to throw on the run from multiple arm slots. 5/25/14 – Decent actions, moves well in the field. 4.5 runner down the line. 2 RBI. Soft hands, creates angles, efficient with footwork, made nice barehanded play coming in on the play. Good defensive awareness. 5/25/14 – Good balance in delivery with fluid, easy actions. Pounds the zone, fastball had good arm side run with late life in the 78-81 range. Topped at 83. Used breaking ball as change of pace, sat 66-69 with 11-5 break. 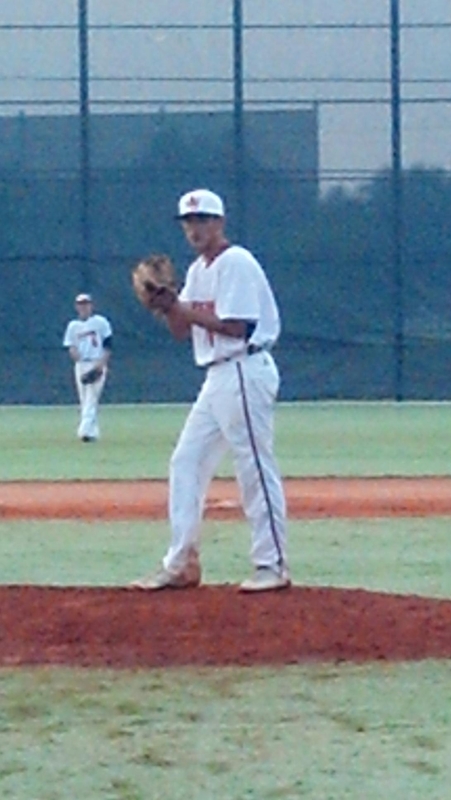 Threw a complete game, seven inning shutout. Got stronger as the game went on. 5/23/14 – Big body at 6-foot-3 and 195 pounds. Pitched from high 3/4 arm slot, arm worked loose and free. Consistently around the zone, worked fast and had good mound presence. FB 80-81 with arm side run, CB 64-66 with some late break and 10-4 shape. Gave up only 1 win in victory. 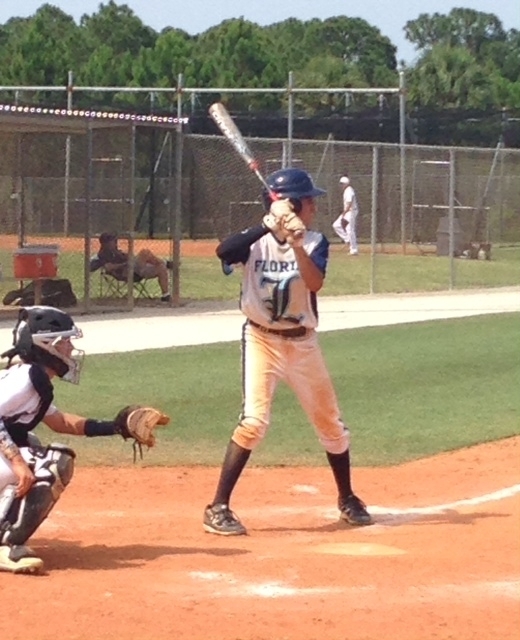 5/25/14 – Great base runner, used speed along with great reads and jumps to collect four stolen bases. Quick hands to hit, got barrel to zone well. Doubled twice, once to pull side and once to oppo gap. High energy, aggressive player. In the infield, showed good footwork and range. 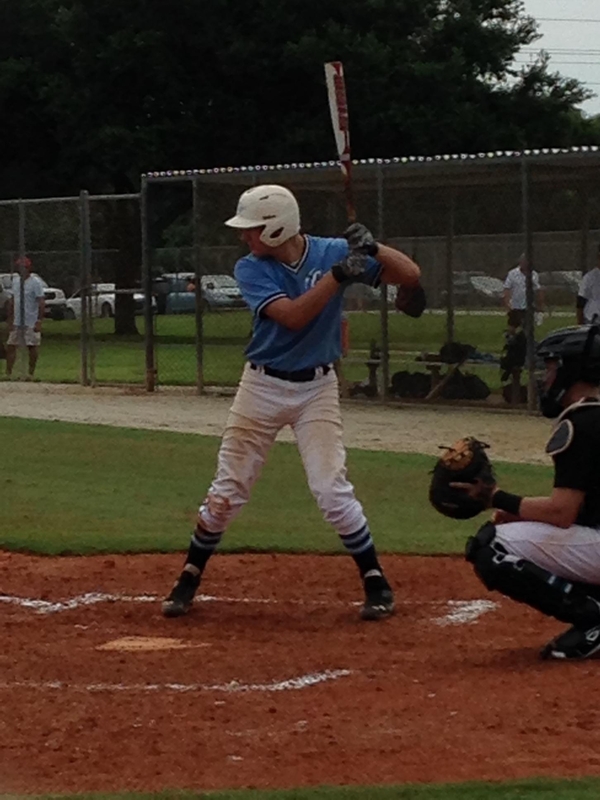 #10 Ryan Moore – CF | R/R | 6-7/210 | 2018 | St. Thomas Aquinas HS | Ft. Lauderdale, FL5/25/14 – Tall, long frame with room to fill out at 6-foot-7 and 210 pounds. Got good reads in the OF, tracked ball well and showed ability to run balls down with his long strides. Got great extension, kept bat head moving thru the zone. Line drive stroke with some power, lined a double thru left center gap and also drove a ball to the pull side warning track. 5/25/14 – Lean, athletic build. In the infield, made a nice play to his glove side. Showed quick reactions and some range, along with a strong arm across the diamond. Showed pull power, doubled twice to RF – once down the line and again to the gap. Good situational at bat with runner in scoring position, shows some feel for hitting and plate discipline. 5/25/14 – Good athletic body. Soft hands with good feet in the infield. Always in the right position. Good lateral movement and range. Clean exchange, quick first step. Fields out front and plays with momentum thru to target. Good speed on bases, got good reads and jumps. Level swing thru zone, balanced approach. 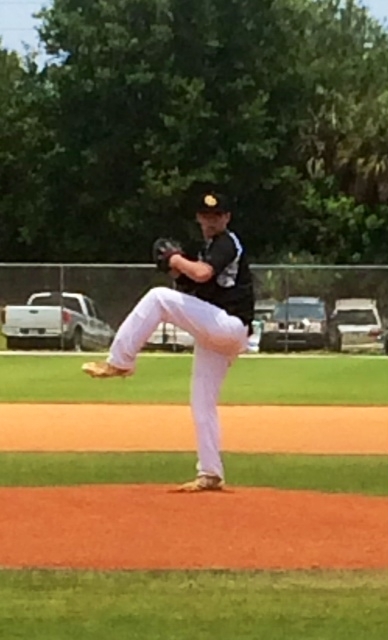 5/25/14 – Threw complete game in semi-finals. Allowed one earned run. Efficient with his pitches, pitched to contact and let the defense make plays behind him. Topped at 75. 5/24/14 – High energy player, plays hard. Bat control type hitter, wiling to bunt for hits. Short, compact stroke, gets barrel to the ball. Showed good plate discipline. Smooth fielder with soft hands, dependable in the infield with a solid arm. Got down the line as well as 4.2 from the right side of the plate. 5/25/14 – Showed athletic actions all around. Aggressive on the bases with usable speed. Tracked pitches well, and worked the barrel to contact quickly. Has hand-eye coordination for barrel accuracy. 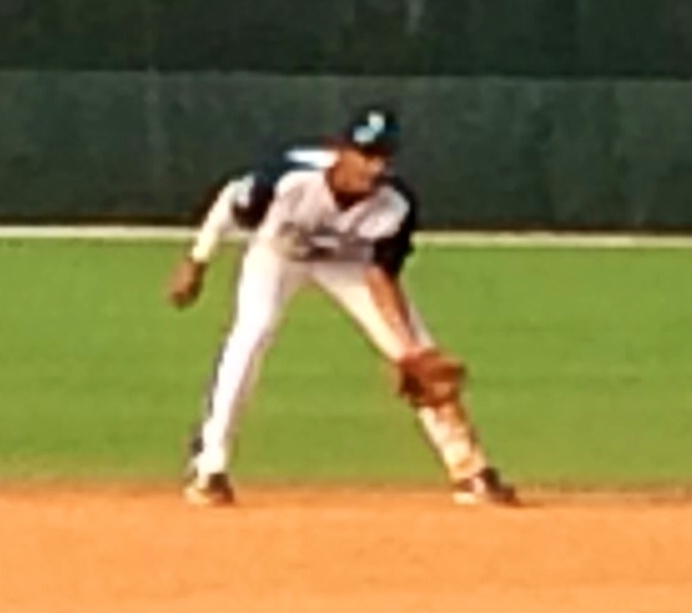 5/25/14 – Versatile defensive infielder, showed quick reactions with good hands and arm strength at third base. Loose, quick right handed stroke. Made several good passes for solid contact up the middle and the other way. 5/24/14 – Big strong body. Balanced hitter with a simple approach. Uses the whole field, hits the ball where it’s pitched. Singled up the middle and made hard contact to the opposite field. 5/23/14 – Built similar to current Houston Astros OF Dexter Fowler, slender and wiry build with long limbs. No standout results today, but certainly merits a close follow. 5/23/14 – Good command of pitches, moved FB and CB to both sides of plate. FB had some arm side run in low 70s. Usable low to mid 60s breaking ball. Good mound presence, fielded position well. 5/25/14 – Baseball player type with loose, quick actions. Featured soft hands and a quick release, moved light on his feet. Has great awareness and feel for the game. Hit in leadoff spot, showed short quick stroke. Coordinated move allowed him to maintain strength thru contact. 5/25/14 – Lean build with long limbs and a high waist. Quick hands to zone, whipped barrel thru the zone. Has some leverage in stroke. Solid defensive actions at 2B. Projectable young player. 5/25/14 – Has two-way potential. Has leverage in left handed stroke, ball got off barrel with good life. Kept strength thru contact, allowing him to generate pull side power. Fastball was around the plate at 77-78. Was able to consistently land 64-66 curve, showed great feel for the pitch. Appeared to throw a little harder version up to 71, and also threw a low 70s change. 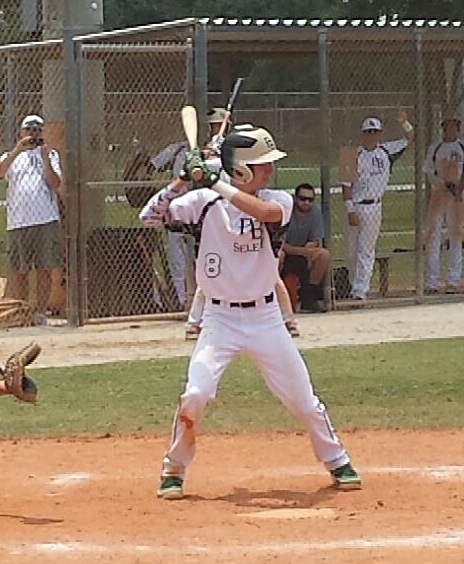 5/23/14 – Large frame with plenty of room to fill out, along with quality baseball bloodlines – making him quite the projectable young player. 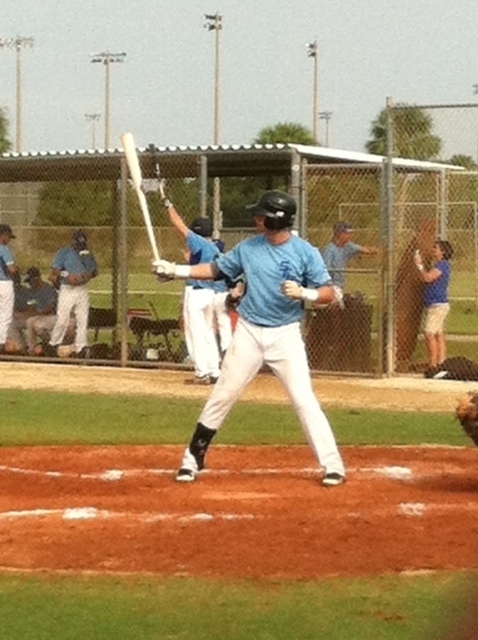 Showed a quality left handed stroke in two at bats, for hard contact to LF and RF. Appears to have some feel to hit. Played SS today, showed capability to make necessary plays. 5/24/14 – Works quick, fastball had sink at 74-79. Balanced delivery with good direction. Pitched on a good downward angle, hides the ball well. One to watch, has upside. 5/23/14 – Physically strong. 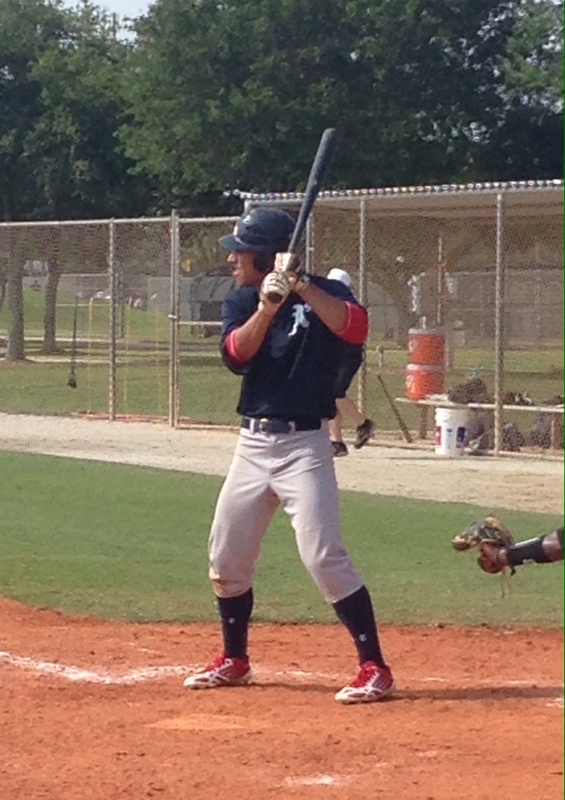 Balanced hitter with good plate, used the whole field – as evidence in base hits to deep LF, double to RCF. 5/23/14 – Short, compact stroke. Line drive type hitter, used the whole field – collected hits to CF and RF. Composed and balanced in batters box. 5/25/14 – Aggressive approach, likes to swing at first pitch fastball. Line drive hitter, uses the whole field. Quiet setup, soft front side on landing. Quick to zone and works barrel thru the zone well. Has a knack for hard contact. Has room to fill into his body as he physically matures. 5/25/14 – Receives well, quiet behind the plate with minimal movement of body. Blocked everything, did a great job on balls in the dirt – worked well laterally and deadended the ball. Showed good leadership skills and awareness defensively. Quick hands to hit, turned on inside pitch. Short, compact stroke. This entry was posted in 2014 Under Armour Memorial Day Classic, 2014 Under Armour Tournaments and tagged A.J. Labas, Adam Saks, Aldrich de Jong, Alec Ulloa, Alex Nicholaou, Alex Nodarse, Andre Perez, Andrew Lee, Anthony Vargas, Austin Smith, Blake Bohlman, Blake Disher, Brendan Power, Brett Carter, Brock Minich, Bryce Keller, Bryce Newman, Cameron Mahorn, Cash Case, Chad Tworek, Christian Sosa, Clay Kelly, Clayton Morell, Cody Cannon, Colin Smith, Colton Rendon, Dakota Julylia, Daniel Trillo, Danny Vaughn, David Carnicella, Derek Schwimer, Dylan Gordon, Eddy Arteaga, Ernesto Perez, Evan Klugerman, Evan Schaffner, Felix Garcia, Freddy Zamora, Harley Sanicky, Hayden Miller, Hector Montano, Hernen Sardinas, Hunter Whitman, Ian Exposito, Jack Iervolino, Jacob Koos, Jake Eder, James Marinan, James Reynolds, Jason Angulo, Jeffrey Gerlica, Jonny Mondo, Jordan Kennedy, Jordan Stacey, Jose Gorordo, Joshua Lowe, Julian Cabrera, Julian Peralta, Justin Alintoff, Keenan Bell, Keifer Wilkerson, Keilin Washington, Kristopher Armstrong, Kyle Jenkins, Leo Rodriguez, Logan Cook, Luis Beltran, Luis Machado, Mac Lemieux, Mark Mixon, Matt Morales, Matthew Urbanek, Michael Rothenberg, Miguel Escarri, Mike Cassala, Mitchell Carroll, Moise Carrasco, Nicholas Kashuba, Ozzie Millet, Patrick Crawley, Ramon Ripoll, Raul Mercado, Ruben Someillan, Ryan Fultz, Ryan Moore, Ryan Wimbush, Sam Fockler, Sean Maletzke, Shane Roberts, Taylor D', Trey Seabrooke, Triston Casas, Triston McKenzie, Tye Crittenberger, Tyler Ahearn, Tyler Frank, Tyler Huggins, Tyler McKenzie, Udie Summerall, Victor Valderrama, William Guay, Xavier Edwards, Zachary Blankenship, Zachary Goberville on May 26, 2014 by Team One Baseball.